Vanessa Decort has worked as an illustrator for children's books and that's what the artwork is like - with the exception that there are no faces on any of the figures in the deck. 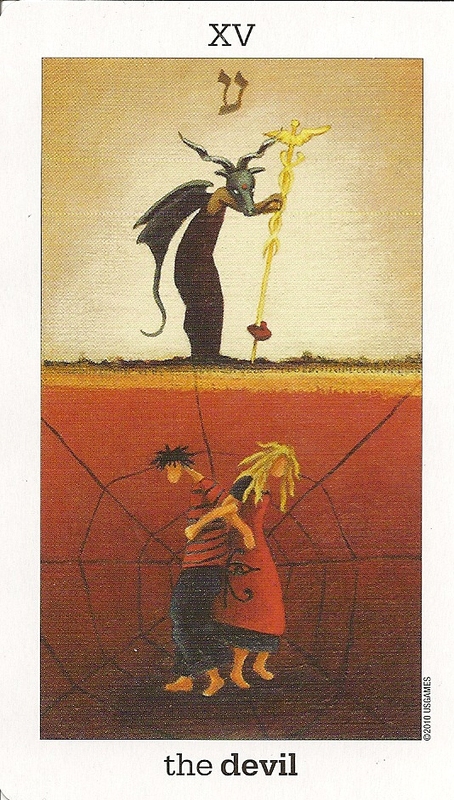 The Major Arcana have traditional titles, Justice as VIII and Strength as XI. 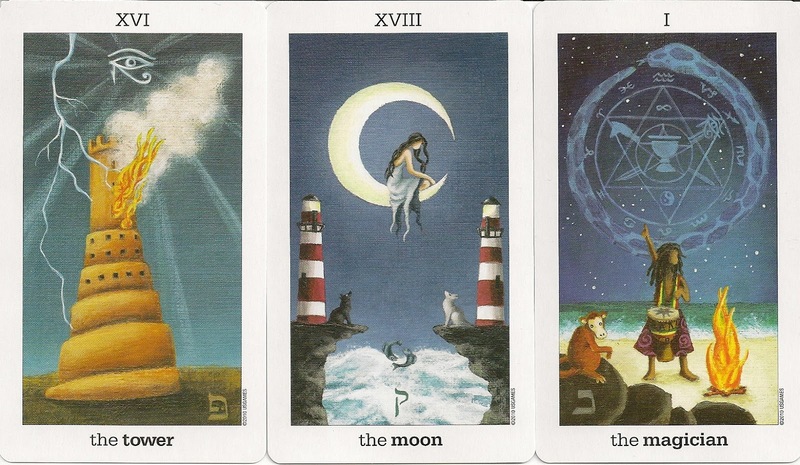 Each Major Arcana card shows the associated Hebrew letter and displays the Roman numeral at the top of the card and the title on the bottom of the card. Some of the Majors have two titles (Death/Rebirth, Art/Temperance, and Aeon/Judgment). 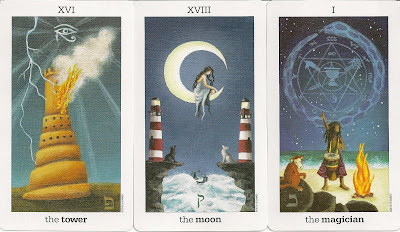 The color coded suits are Wands (Fire/Spiritual) showing a dark background, with bright orange flames at the bottom of the card, Cups (Water/Emotional) with blue sky and green water, Swords (Air/Rational) showing a light blue background and Pentacles (Earth/Material) with reddish-gold in the upper part of the card and green at the bottom. The Court Cards are Princess, Prince, Queen and King. The Pip cards depart from strict Thoth imagery in that they carry both suit icons and small scenes, along with their elemental symbols. They have a key word at the top of the card, and the number and suit on the bottom of the card. 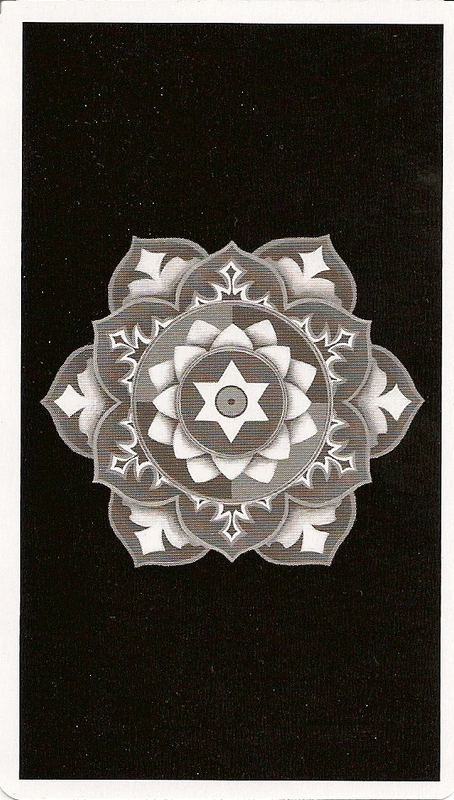 The reversible backs show a gray and white mandala on a black background .